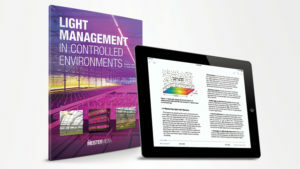 “Light Management in Controlled Environments,” the new digital and print book that presents the underlying biology of how light influences plant growth and development of specialty crops, especially those grown in greenhouses and controlled-environment growth rooms, recently earned two scientific society awards. In late May, the book’s editors, Dr. Erik Runkle and Dr. Roberto Lopez of Michigan State University, and chapter co-author and nominator Dr. A.J. Both of Rutgers University, learned they will receive a 2018 American Society for Agricultural and Biological Engineers (ASABE) Educational Aids Blue Ribbon award. They will be recognized for the award at the ASABE 2018 Annual International Meeting in Detroit, MI, in late July. Runkle and Lopez were also recognized with the 2018 American Society for Horticultural Science (ASHS) Extension Division Material Award (Book). Following a comprehensive review by an awards committee, a total of 18 submissions were chosen as award winners across several categories. The award will be presented in August at the 2018 ASHS Annual Conference in Washington, DC, during the Extension Division luncheon. 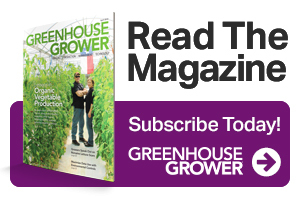 In “Light Management in Controlled Environments,” Runkle and Lopez, along with 19 other leading plant scientists from around the globe, present technology options for shade and lighting, including the latest developments in greenhouse and sole-source lighting. “The book was a wonderful team effort with leading researchers in North America, and we truly appreciate their collaboration and expertise,” Runkle says. 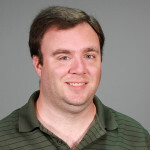 “There was a need for a comprehensive book that synthesized the latest controlled environment light management information, and our team of faculty, researchers, technicians, and graduate students made it happen,” Lopez says.